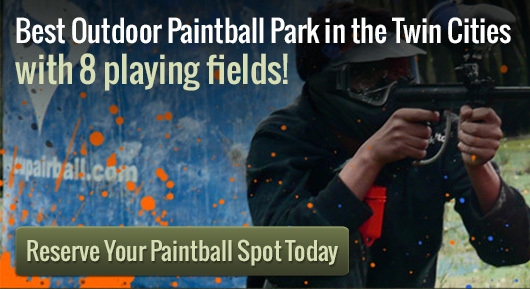 For locations near Bethel, paintball fields like those at Action Packed are the best. Paintball has been a growing hobby and sport for years; now it is even more exciting and accessible to everyone in Minneapolis and the Twin Cities. Bethel paintball offers the most intense and exciting versions around. With many different scenarios to play for all sizes of groups, Action Packed Paintball is the place to be. In Bethel paintball has grown by epic proportions. Catering to all groups there are several different varieties available. For the history buffs play a Civil War style battle. You will line up side-by-side, staring down the barrels of the weapons of your enemies; just like the combatants of the northern and southern armies. Adrenaline will pump with nowhere to hide as you and your friend?s battle for superiority. Tombstone, a mock western city, offers outdoor run and gun as well as urban indoor warfare. In Bethel paintball is a serious business, trying make the very most of your experience. Action Packed Paintball is not like any other paintball facility. The friendly and professional staff is there to help players of all levels; providing the best experience possible for everyone that walks through their doors. Of course you will find CO2 air fills, ammunition, and all the necessities to play. What sets this venue apart from all the others runs much deeper than that. The staff has given a huge variety of playable maps. The officiating here is top notch, and the site cannot be beaten. Whether you are relaxing with friends, celebrating a birthday, or have a disagreement to settle you will find exactly what you are looking for at Action Packed Paintball.